CLOSEOUTS. 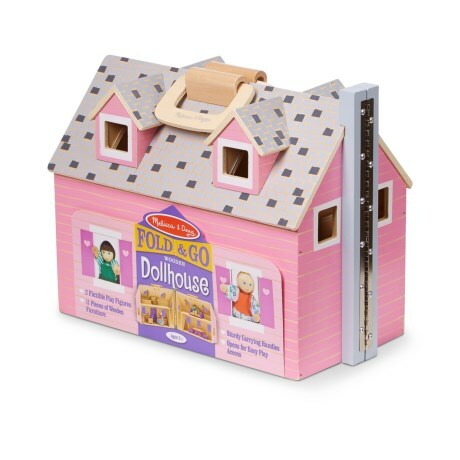 Your kid will have a blast playing with the Melissa andamp; Doug Fold andamp; Go Dollhouse, made of wood with flexible play figures, wooden furniture and a fold-open dollhouse. Available Colors: SEE PHOTO.